The gifting industry in Africa has not evolved much with technology. Gift vouchers have only been limited to supermarkets whereas there are many products and services that would fit as gifts from other retailers. Now one company has taken the challenge to expand the gift product option by launching its operations in Nigeria and Kenya. Suregifts allows people to digitally send vouchers to loved ones from different retailers making it easier and less of a hassle for both the sender and recipient. The company was founded by Adeoye Ojo, Babafemi Lawal and Olaoluwa Samuel-Biyi in January 2014 in Nigeria. The company says it has 200 retail and company partners with over 1000 gift cards being bought every month. This is a small fraction of the market that is available. Users can create wedding registries on the site, merge and split vouchers, use vouchers to pay bills and choose from a variety of retailers from their desktop or mobile device. The platform also helps you to swap vouchers with ease. The company also took advantage of its knowledge with e-vouchers in order to launch additional services. These include SureCredit that enables users to take up voucher loans, SureAid to make it easy for users to donate to causes and SureRemit, to help the diaspora to send e-vouchers to their friends and family. The company launched its services this year in Kenya and it is working to launch in other countries in Africa. This will make it one of the few start-ups to have a multi-regional presence. IDG Connect caught up with the co-founder Adeoye Ojo on the successes, challenges and future plans for the company. E-vouchers are purchased by senders and delivered to a specified recipient. The recipient can then redeem these vouchers for goods and services at any of our partner retail merchants (online or physical stores) for the value specified by the sender, or used to pay for a large selection of bills (Airtime, Power, Cable, Internet and more) on our platform. What was the market need for your product? Traditionally, in Africa, there are two ways to transfer value from one person to another: either as a cash transfer, or product transfer. A voucher is the medium that removes the cost and complexity involved in transferring both. 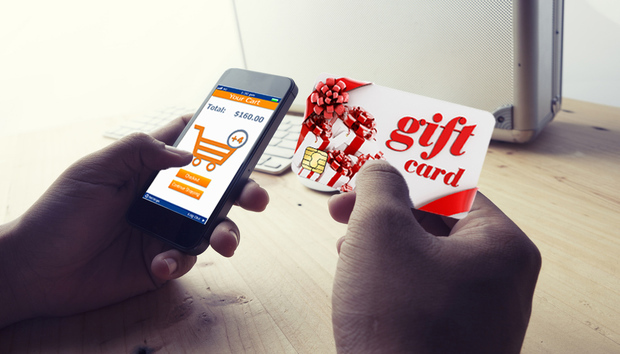 With a voucher, a sender can transfer instant value redeemable for a specific product, service category or at a specific merchant to a recipient, while the recipient still holds the power to choose the specific product or service they want from that merchant. We found this value to be most beneficial to people that want to do instant gifting, loyalty rewards, and targeted remittances. Few startups have stretched their wings to other African countries, how did you see the opportunities in Kenya? Right from the beginning, we knew we were building a Pan-African company, and Kenya was at the top of the list of countries we were going to expand to after Nigeria. Kenya was particularly interesting because of how developed the retail market is (more concentration than Nigeria), market exposure, ease of doing business and the opportunity to grow the corporate market (B2B) arm of the business. We also see a lot of advantages to being the first in the market. We are already active on the continent, with Kenya and Nigeria, and should be operational in two to three additional markets before 2016 is over. What is your experience in trying to partner with established retailers? It’s not been a walk in the park, especially when we just started. Most established companies are sceptical about new solutions coming from a start-up, but over time, we’ve been able to make them see value in partnering with us as it’s always a win-win situation for them. This applies to both established retailers and corporate organisations. However, it is still a continuous journey. What is your experience starting an online start-up? It’s mostly been a learning experience because of the relatively limited history and reference points. There are still no hard rules or guidelines to how to successfully deliver services via the internet on the continent. Our experience has also been different in each country, so we hope to actually become the opinion leaders in our space. Overall, the experience is best described as tough but enlightening. Is Africa at the verge of seeing online start-ups flourish? Absolutely. We believe it is time for the internet to facilitate commerce in a big way in Africa. It will take some bold pioneers to lead that movement, but that’s been happening over the past few years and it’s only going to get better as the internet becomes an indispensable tool for businesses. What things do governments, private sector need to do to improve tech start-ups across the continent? From our observation, the most important thing is for government to get out of the way. It is understandable why governments might feel the need to step in to regulate or intermediate the delivery of new technology products, but most times, they don’t understand these innovations, and in their attempt to do their jobs, they could hinder tech advancement. A good way to approach this will be to have specialised organisations of government charged with the responsibility of understanding tech innovations, and putting forward policies that will accelerate rather than hinder them. The real growth of these tech start-ups however, rely on the private sector, because established private companies and individuals are the customers. The private sector needs to believe in the quality of local products, and understand that the best products in the markets today are not those that are decades old (“legacy systems”), and that these products will be mostly developed by very young people, in the age brackets most are not used to seeing lead conversations in meetings. This change of mindset is important to really drive adoption and growth. « What can Blockchain bring to security?